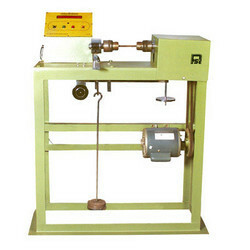 We are a leading Manufacturer of fatigue testing machines from Pune, India. To retain our goodwill in clients' consideration, we manufacture, optimum quality Fatigue Testing Machines. Our offered testing machines are precisely manufactured using optimum quality components and progressive technology in line with industry norms. Moreover, these testing machines are checked against different quality measures so as to ensure their quality. We deliver these testing machines from our end after testing them against various parameters. Looking for Fatigue Testing Machines ?